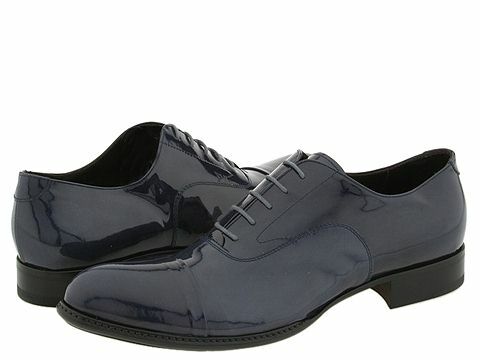 These amazing cap toe oxfords are attention-getters! ; Patent leather upper. Leather lining. Combination leather and rubber sole with signature dagger hardware detail. Made in Italy.